National Harbor and MGM plan to spend $10 million to improve roads through the area in order to accommodate the expected increase in traffic once the new resort and casino open. OXON HILL, Md. 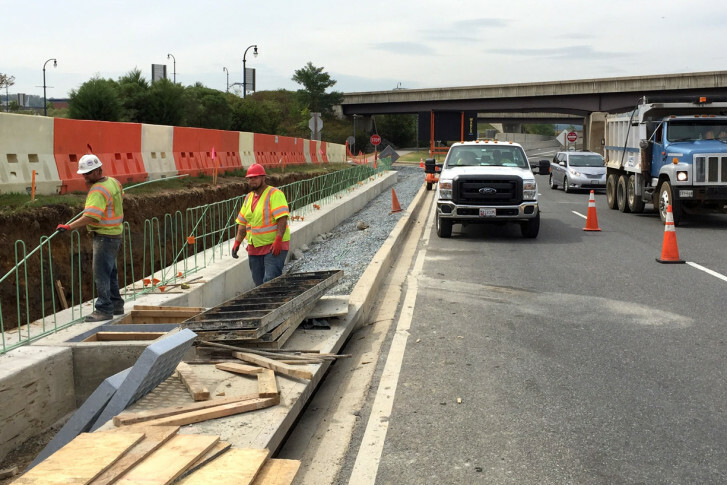 — Road improvements are underway at National Harbor to keep the expected increased traffic flowing once the MGM resort and casino open. The parent company that owns National Harbor and MGM plan to spend about $10 million to widen roads, build turn lanes, add parking and adjust traffic signs and signals to prepare for the casino’s opening. Widen Oxon Hill Road between the Capital Beltway and Tanger Outlets. Add new traffic signal on Oxon Hill Road at the county Park and Ride lot to ease access for buses and commuters. Expand the roads on each side of MGM to three travel lanes each. Create a traffic circle to encompass the MGM. Two roads flanking the resort will be connected by a road to be built roughly parallel to Oxon Hill Road. Add a dedicated travel lane for traffic leaving the Wilson Bridge from Virginia heading toward National Harbor. Add 800 parking spaces to the surface lot near Gaylord National Hotel and Conference Center. Create Circulator Bus route to serve Gaylord, downtown National Harbor, Tanger Outlets and the MGM. $5 tickets are a daily pass. Road construction and signage is expected to be complete by December, Digby said. There is no date announced as yet for the MGM resort to open. The $1.3 billion casino, hotel and entertainment complex originally was set to open by late summer, the opening now is expected sometime before the end of the year. When asked whether there were any wished-for adjustments that were not able to be included in the plan, Digby praised the quickness and ease with which necessary permits were issued for work underway now. “One of the things that we’ve learned about National Harbor over the years is that it’s hard to predict. So, we’ll see what happens at the opening and we’ll respond to that accordingly,” Digby said.